Do you feel that something is missing from your empty backyard or are you looking for something to add on to the landscape of your garden? If your answer is yes, maybe you should learn how to build a pergola and start building one in your compound! A pergola is a nice cozy place for you to have your afternoon tea, or a shade for your hanging plants. 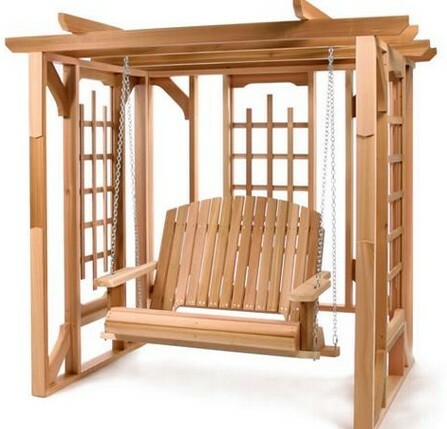 It is inexpensive to build it yourself, and you get to beautify your garden with a brand new pergola. In the first place, you have to conceptualize on the design and location of the pergola. Jot down the estimated size of your pergola and list down the materials that you want to use for the project. Enumerate and purchase the materials needed for the entire construction after consulting a professional for suitable materials. If legal permits are needed for the construction, be sure that you obtain them before you start building. Make sure that the land is level before you start. Dig four holes of 2 feet deep and 9 inches wide and place the pressure treated posts into the holes. Affix posts between the four main posts to hold them in place when you pour in the cement. Let the cement set for a day before you proceed to the next step. Call along a few friends to help you with this step as you will need someone to hold the posts in place when you nail them together and someone else to prepare the cement mixture. Use pressure pre-treated lumber as the posts so that your pergola will be stable and long lasting. Move to the beams where you cut out the desired length and make indents with the saw. To ensure that the beams are identical, you should cut out a template of the beam with indents and use the template to cut the rest of the beams. Cut out 4 pieces of support beam. You may also shape the ends of the beams and support beams. Attach the support beams together to form a frame, and clamp the beams in place by attaching the indents to the frame. Secure the beams to the frame with 3-inched screws and make sure that they are plumb. Slide the rafters across the four pillars (posts) and secure it by using screws and bolts. Apply water and stain seal to the wood or even paint it if you wish to. Principally this is how to build a pergola. Decorate the pergola with hanging pots of flowers or with a set of outdoor dining tables and chairs.